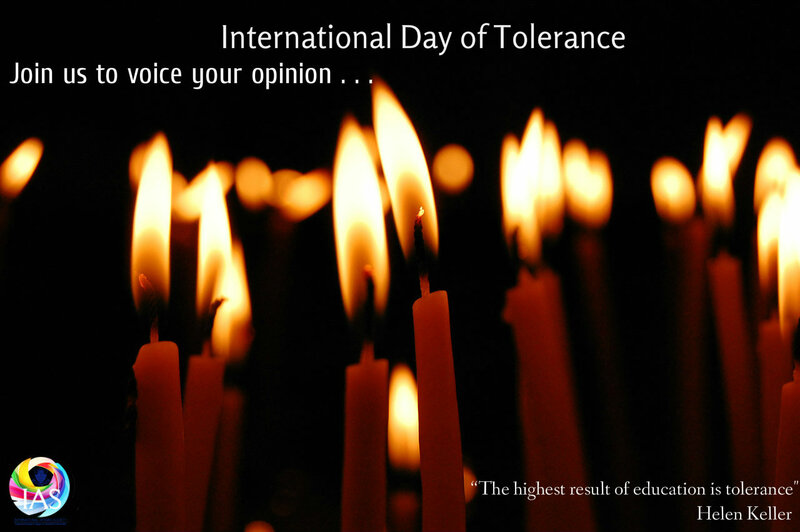 The International Affairs Society in collaboration with the Christian Life Program will arrange a vigil on Monday 17 November 2014 for the International Day of Tolerance which is observed on 16 November 2014 every year. We want to align the relevance of “International Day of Tolerance” with the prevailing wave of religious intolerance in Pakistan. The vigil will be in remembrance of the brutal killing of a Christian couple for alleged blasphemy, that recently took place in Pakistan. We can’t forget the 12 year old Anjali of Dharki, who was abducted and forcefully converted to Islam. We intend to stand together in spirit to voice our condemnation for these and many other unfortunate events of religious intolerance. We want to stand in solidarity with our brothers and sisters who may not be the followers of the religion we follow. But they have an equal right to safety and freedom to practice their religion as we (Muslims, being a majority) have. Our religion teaches peace and maintaining cordial relationships with others. Interfaith harmony is what we all stand for. Please Join us on Monday to stand for this noble cause. Also find our ‘message wall” at the entrance of S-block where you can write what you want to say about tolerance. Be a part of this activity to voice your opinion! The Qur’an reminds us: 2.256. Let there be no compulsion in religion: Truth stands out clear from error: whoever rejects evil and believes in one God has grasped the most trustworthy handhold that never breaks. And God hears and knows all things. We, the Muslims of Pakistan, reject every form of bigotry and hatred. In Islam, there is no room for religious intolerance. We are all equal in front of Allah. We must include everyone in the fold, regardless of our faith. We are all human beings, with equal rights and responsibilities. I have taught at Forman Christian College for four years and at University of Scranton for 47 years. They are both Christian institutions. I have the privilege to serve as the imam of the Campus Mosque at Scranton. Please click on my name at the top to read more about me.